Razer continues to put out some really great keyboards. Their latest one should appeal to those who enjoy typing on laptops. The Razer Deathstalker Chroma is their gaming chiclet keyboard that lights up in a multitude of colors. If you’re familiar with the line, then you should know what the Deathstalker is all about. Not everyone likes mechanical keys for gaming, so Razer’s Deathstalker line of chiclet keys is more akin to a laptop keyboard. Some people like that, some people don’t. 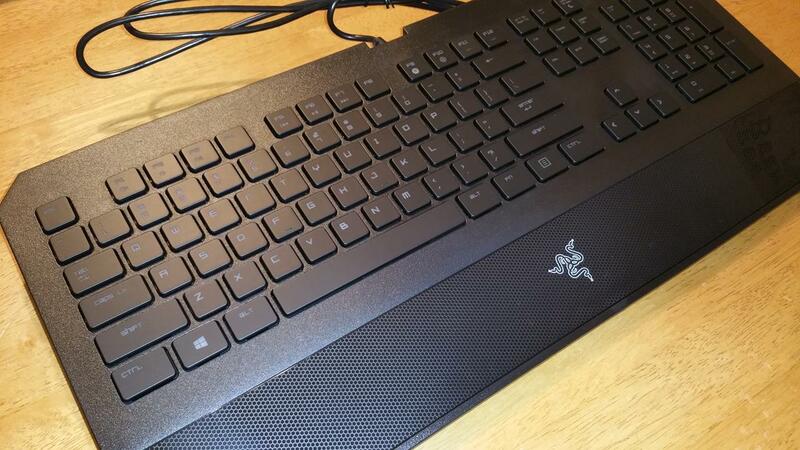 The Razer Deathstalker Chroma is a very thin and lightweight keyboard. There aren’t any extra keys and it’s a pretty standard layout. Those typing on laptops will feel right at home. When I say no frills, it’s no frills. There’s nothing extra in terms of keys or features. You get the basic U.S. layout with the main keys, navigational area, and number pad on the right. 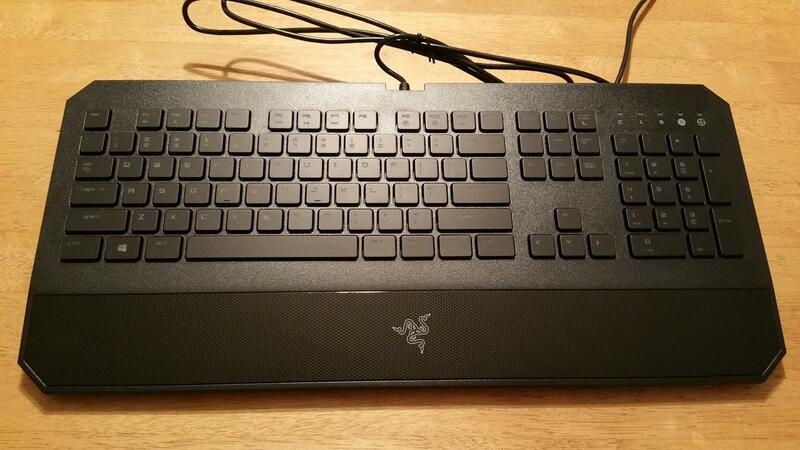 But, because this is a gaming keyboard, there have been some refinements. Chiclet keyboards don’t need much to actuate. Travel wise, it only takes 2mm to actuate the key. How does this compare to, say, other traditional membrane keyboards? It’s about half the distance. It’s also in line with some of the Cherry mechanical switches. Now the keys on the Deathstalker aren’t made to compete with mechanical switches, and compared to normal membrane keyboards, it does feel pretty good. Up to 10 keys can be pressed at one time, and the keyboard will register each one of those keys. You can turn off the Windows keys, as well as the Alt-Tab combination, with the game mode. Using the Razer Synapse software, you can program some of the keys and record macros. Setting up the keyboard to your liking can be done pretty easily with the software. Besides the standard set of keys, the Deathstalker Chroma features the lighting setup that’s been prominent in a lot of Razer’s recent offerings. You have a choice of 16.8 million colors to choose from, giving you plenty of options to light up your Deathstalker. The light on the Deathstalker is bright and clear and shines through very well from the top of the keys. You can adjust the brightness of the keys with very wide range of control. Compared to other colored keyboards, the Deathstalker Chroma’s lighting quality is one of the best I’ve seen. Three zones comprise the setup of the Deathstalker Chroma: the main keyboard set, the navigation area, and the numeric keypad. You can’t mix and match effects between zones, but you can set different colors for each zone. Say you want the main area to have a breathe effect from white to green, and the numeric area to breathe from blue to red. You can do that with the Razer Synapse software. I haven’t seen any games take advantage of the coloring yet, like, say, Grand Theft Auto V does for the Logitech G902. 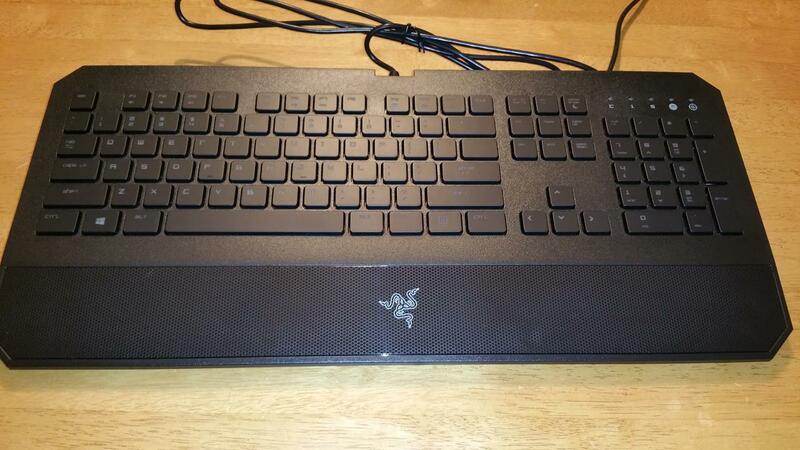 But I’m hoping that we do see some color options in games for the Chroma line of keyboards from Razer sometime. If you have other Chroma products from Razer, you can use the software to synchronize the setup, which is pretty convenient. I’m also hoping for more effects and control in future software updates than the four that are available. The wrist rest is large and offers plenty of room to lay your wrists on when typing. It’s got some nice little hexagon pattern that’s raised just a bit, with the Razer logo in the center area. It’s low profile so you won’t get much height off the desk, but does provide enough support that I didn’t feel tired when using it to type during long periods of work. 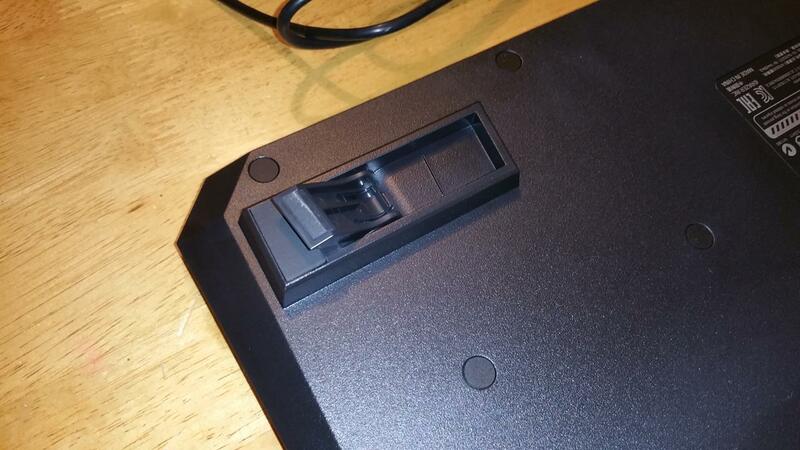 There is a single USB plug that comes from the Deathstalker. Since there aren’t any USB pass throughs, you’ll only need to plug it into one USB connection on your computer. Using the Razer Deathstalker Chroma for the past month, I enjoyed the keyboard both for work and gaming. I’m a software developer by day, so I do long bouts of coding in Visual Studio. I didn’t have any issues typing with the Deathstalker Chroma. The spacing on the keyboard was good and I didn’t feel like I was going to accidentally press other keys when typing fast. From programming to typing up reports, the Deathstalker Chroma served this purpose well during the past few weeks I used it. For gaming, I tried various first-person shooters—and a lot of Diablo III. With Diablo III, I was able to constantly cast seven-sided strike, my mantra, and my dash without missing a beat. If you’ve played a Uliana’s Monk in patch 2.3, then you know how much button mashing it can be in tight situations. I was able to easily clear high-level rifts with my monk using the Deathstalker Chroma. Playing shooters, such as Left 4 Dead 2 and Call of Duty, the keyboard responds well to fast-paced situations. There wasn’t any perceived loss of keystrokes, and the Deathstalker Chroma performed admirably in all the games I tried. The one caveat about the Deathstalker Chroma is that it is expensive for what it is. 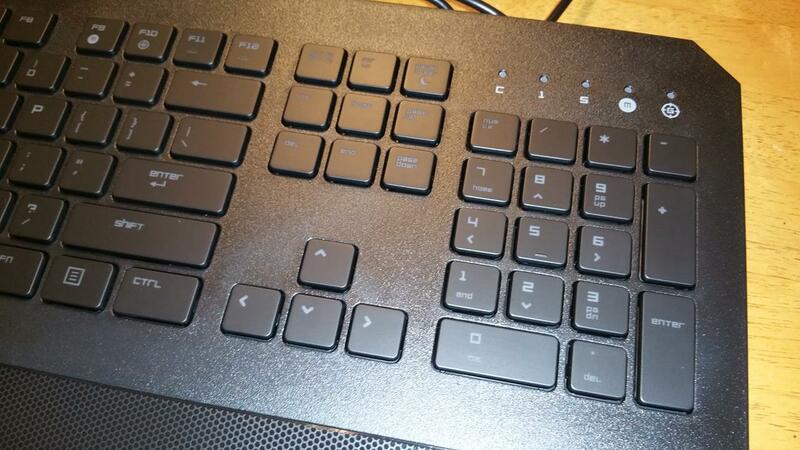 It’s a no-frills chiclet keyboard that has lighting effects. 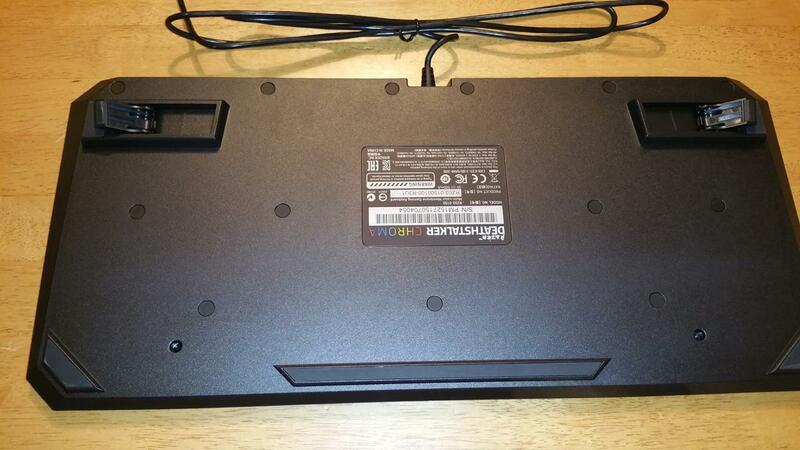 There aren’t extra macro keys, no extra USB connections, no dedicated audio controls, no audio connectors. It’s a very basic keyboard in terms of features. At $91.99, which I found at Amazon, you’re going to be spending a lot of money on the Deathstalker Chroma, but it is a very solid chiclet gaming keyboard. For those that don’t want a mechanical keyboard, this is a solid choice, provided you have the money to spend on it. It’s quiet, responsive, and very easy to type on. The lighting effects are bright and illuminate well from the keys. But, I keep coming back to the price tag, which will make many people think twice about picking it up. As with all keyboards, I always say, try it out yourself if you can find a demo unit to see if you enjoy typing on it. Everyone’s a little different, but for those wanting a really good chiclet keyboard with color effects, the Deathstalker Chroma does a great job. 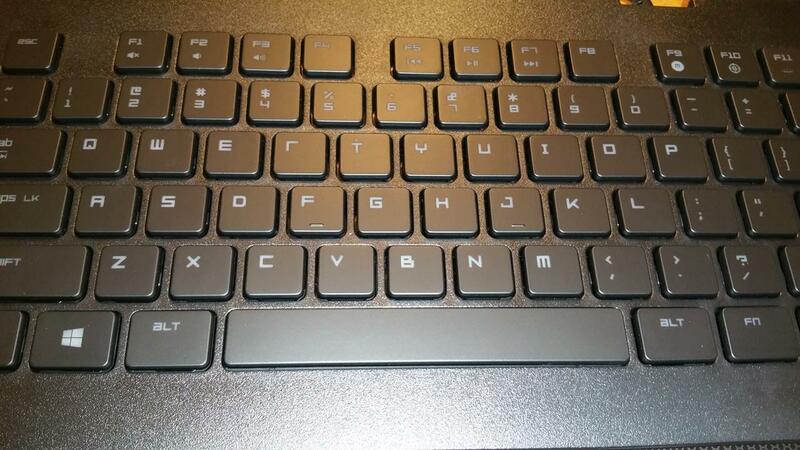 It's a solid chiclet keyboard, but pretty expensive. The lighting effects are good and the feel is solid.